Bulls ride the market through Bonhams as new record prices are set for many rare bottles of Scotch. Over recent months, even years, traditional whisky auction houses have appeared to be gradually withering on the vine. The onslaught of on-line auctioneers has managed to turn a small niche part of the broader whisky market into what’s now almost a replacement for the traditional rare whisky retailer. Bigger, better, faster, slicker, quicker (most of the time) on-line whisky auctions have been squeezing traditional auctioneers out of the market. However; showing there’s still room in the market for all, Bonhams recent sale was an absolute belter. Okay, so there weren’t thousands of bottles on offer, but what there was, was in some cases, quite incredible… and most bottles sold right at the top end of their recent trading range or set new records. Get the right bottles on the shelf and there’s still massive demand… even with 25% plus VAT buyer’s premium to pay. Bonhams has traditionally been a hot-house for Macallan, so we’ll start with the king of collectables. Just about everything else from Macallan made a new record along the way. Modern Macallan’s have slumped in value over recent years, so it was impressive to see a Diamond Jubilee bottle make a record equalling £1,300 – A price unseen since August 2013. Someone far wiser (or is that wizened?!.. probably both) than I recently said, over a rather good 1966 Glenugie, “1966 was a good year for eeeeeverything”. It certainly was for Macallan, whose 1966/1984 18 year old nudged through £1,000 to hit a record £1,100. Between 2008 – 2010 these were being scooped up for as little as £270 – £280. Some Ardbeg 1970’s vintage Connoisseurs Choice bottles made impressive numbers. Twin lots of 1974/1992 took £350 and £400 per bottle, way past their 2009 record low of £160 and a brace of 1979/1991’s took a record £325 per bottle. While it could still easily be a dead-cat-bounce, Bruichladdich’s recent improvement in form continued with a 15 year old Centenary decanter tipping the scales at £280. 2009 saw a record low of just £80. Rarely mentioned, Teaninich took a new record of £550 for a 1957 Cadenheads dumpy bottle. With spirit distilled pre the 1970 expansion being from the now demolished ‘old’ or ‘b’ side, this is in effect whisky from a silent distillery; one closed in the early/mid 1980’s slump alongside fellow highlander Brora. From a low-performers perspective, a bottle of Fettercairn 40 year old sold for just £450, its lowest ever. Interestingly, and maybe part of the reason for its decline; I recall trying this dram but I can’t remember what it was like… A forgettable 40 year old? The first of three big-guns rolled into town with a 50 year old Glenfiddich taking £12,000; not a record but £1,000 over its previous price of £11,000. The second was a bottle of Bowmore 1967 Largiemeanoch, pronounced correctly in Gaelic is simply ‘L‘ (it is in these pages anyway!). The first time L sold on the open market it fetched an impressive £2,350. That gradually increased to a £3,200 record price paid in 2014. L’s absence on the open market clearly made the collectors hearts grow fonder as it took a weighty £5,500 at this auction. Finally, a hugely impressive 1946 20 year old Glenrothes fetched £4,800. It’s the first time we’ve seen this bottle at auction so it was great to see it sell for a significant amount. With far more buoyancy than we’ve observed over recent sales, it was great to see Bonhams bring some stunning bottles to market in the UK… More please! Scotch Whisky Auctions opened 2016’s early auction scene with a bang yesterday. The bang was more of a resounding punch to the nose than a fizz-popping celebratory New Year firework – especially for famed north-east highland distillery, Dalmore. 2012 saw the release of the Dalmore Constellation Collection, a vertical vintage set of twenty-one bottles. Single casks, lavish (but not silly) packaging, in some cases ultra-limited numbers of bottles with many being among the very best quality drams one could ever have the pleasure of drinking. For the first time since their launch, a full set of Constellations hit the open market. It appears the original retail price of £158,000 was already deemed an improbable target by the seller whose reserve prices added up to £111,000 for the full set. Taking off 10% auctioneers commission and VAT would leave £97,680 for the vendor. That’s already a 38.18% loss over RRP. A hypothetical buyers bargain? Surely all twenty-one bottles would be taken so set number 6 was kept in-tact? That was far from reality as Constellations became constipated and the nine most expensive bottles failed to move through the auction. Just twelve bottles saw the hammer fall as the reserve was hit. They were also the lower value bottles and only yielded £27,200 in terms of total hammer price (£23,936 to the vendor after commission and VAT). The original RRP of these twelve bottles was £40,500 so that’s a loss of 40.90%. Clearly we have no idea why the owner wanted to sell; these could have been an unwanted gift or a lavish celebratory dram for a wedding which never happened… or 1001 other reasons. If… IF, these were bought as an investment, this has to be listed as the biggest whisky auctioneering failure since the Bowmore 1957 54 year old crashed and burned at Bonhams in 2012. Same as the Dalmore Paterson Collection (whatever happened to that? ), the price of a Constellation set, even a bottle, removes most drinkers from the market and, from what we’ve seen here, also doesn’t look like an investment; that purely leaves the collectors. When a bottle/collection targets one buyer group and ignores the rest, it’s doomed to a fate like this when it finally sees the light of auction. Imagine buying a theoretical set of bottles for £158,000 as an investment and selling what you could for just £27,200. Ouch doesn’t even come close. Away from Constellations and Dalmore fared better. The first bottle of the 2015 release fifteen year old Custodians bottle achieved £350, way over its retail price of £100. Staying with the vintage vertical concept, Balvenie saw the youngest of its recent DCS Compendium collection sell for more than its original retail price. One of 218 bottles of the 9 year old sold for £520, some 30% ahead of its £400 original retail price. History shows us, January’s not the best month to sell one’s crown jewels from a whisky perspective; interest and prices tend to be on the low side (even more unhelpful for the Constellation Collection). There were, however, some great results for certin rarities. Ardbeg’s 1972 vintage (cask 866) fetched a record £1,450. Its previous best was £1,050 in 2014 and its low-point was just £300 in 2008. Older vintages continue to increase in both rarity and price. Gordon & MacPhail’s 2005 bottled 1955 vintage Glenlivet sold for £760, way surpassing it low of £300 in 2008 and its previous record of £600 in 2015. 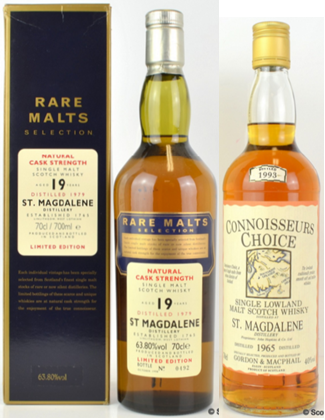 Other than a St. Magdalene 1963 Connoisseurs Choice tipping the scales for a record £490, it was a relatively quiet start to 2016. There’s the usual raft of auctions this month so it’ll be interesting to see if the bidding picks up as the festive fog of alcohol and food lifts. November’s early momentum in the rare whisky market looks set to continue. Showing you don’t need to spend hundreds or even thousands of pounds to get bitten by the collecting bug, Aberlour A’Bunadh’s carefully controlled batch releases have been garnering a huge following. By virtue of their great bang for buck liquid, we’re now seeing prices harden for earlier releases. We must be at (or near) batch number sixty by now, so there’s a hefty back catalogue for collectors and investors. The chart below shows the last three years performance for the first twenty batches. Very respectable performance. Doubling in value over the course of three years is impressive by anyone’s standards. A steep and rapid decline in values but where’s the bottom? Cask 136 (1981 vintage) peaked at £2,300 in May this year; it now rests at £1,650. Cask 8529 (1982 vintage) peaked at £1,950 in March this year; it now sits at £1,550. Cask 8497 (1982 vintage) peaked at £2,200 in June this year; it now costs £1,400. Cask 7802 (1984 vintage) peaked at £2,200 in May this year; get it now for £1,500. To a degree, some of the exceptional rarities are more protected and we’re seeing polarisation at play. The more readily available (if there is such a thing!) bottles seem to be cooling but demand for ultra-rarities remains strong. This suggests the market is, at present, controlled by the collectors – when a number of ‘completionist’ collectors stop bidding, having completed their collection (as far as is possible at the time), values naturally dip. Investors typically keep going and purchase multiples of the same bottle where they see future value and the whole thing is underpinned by drinkers who gradually remove supply. These dynamics appear to have become seriously skewed at current prices, Karuizawa’s just too expensive for volumes of fans to drink, and investors have spotted the peak in the market. We’ve declined to broker no less than five (separately owned) bottles of the 1964 Wealth Solutions bottle in literally as many days. We remain nervous enough to sit this one out and watch from the side-lines. Let’s not get all doom-and-gloom about it though… bottles presently selling for many hundreds or thousands of pounds cost a tiny fraction of that a couple of years ago. We’re also not saying we don’t see value in Karuizawa bottles, we see plenty of value in them: The market got ahead of itself and needs natural correction. When prices re-trace into drinking territory more familiar supply/demand forces will apply as a greater diversity of buyers re-enter the market. Sticking with silent distilleries but moving back to Scotch, Pittyvaich’s official Flora and Fauna release took to a new £130 record. In ‘08/’09, these were a little over £30 per bottle with a record low of just £26 in early 2009. Rosebank has been a regular tip or ours for some time (it still is), but prices look to be undergoing something of a sea-change. Bottles are becoming less prolific on the open market and values are increasing. In 2009 a bottle of Connoisseurs Choice 1988/1997 fetched £45 – At the recent Whisky-Auctioneer sale the winning number had more than quadrupled at £216. A brace of bottles from Glenesk (aka Hillside) both hit new record highs. 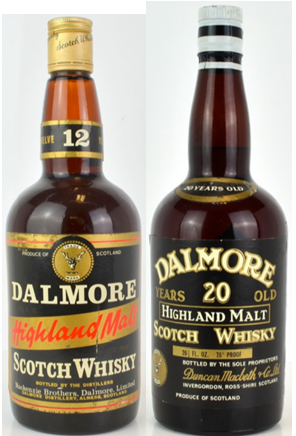 A Signatory 26-year-old on a 1974 vintage took £210 and a 30-year-old bottling by Douglas Laing fetched £285. Special mention for the final bottle this week goes to the new Glenmorangie release – A Midwinter Night’s Dram – Three bottles sold for £195, £200 and £210. A midwinter night’s bid too far? As it’s still readily available for £40, one can only assume the vast price paid was a little bit of new-release-curve frenzy and regional supply differences. We’re not expecting that type of crazy price to hold fast! October departed quicker than a bottle of Loch Dhu down a drain. An immensely busy month for RW101 saw our weekly updates turn monthly. There are huge levels of activity in many areas of the market right now, which in itself is exceptionally exciting… Volatility and extended losses for some and immense upwards pressure on values for others. November’s first dedicated whisky sale saw a bumper 2,800 lots go under the e-hammer at Scotch Whisky Auctions. 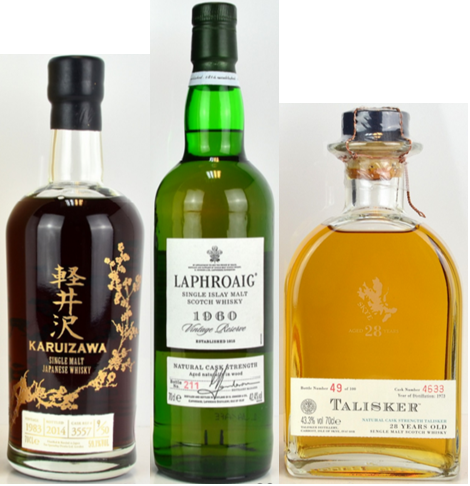 In last months SWA sale, fifteen out of the top twenty most expensive bottles were from Karuizawa; Scotch took just five. This month, Scotland gained a little ground holding onto seven out of the top twenty. That said, the price difference between the most expensive bottle of Karuizawa and the most expensive bottle of Scotch was vast: £9,000 took the first bottle (of just 50 released) on the open market from Karuizawa’s cask number 3557. Laphroaig’s 1960 vintage 40 year old was capable of just £4,000 – Incidentally, that’s the first time this bottle’s hit £4,000, having a previous record of £3,800. Over £16,000 right here… Just these three! The second most expensive bottle of Scotch was also a record breaker. One of the ultra-rare 1973 28 year old Talisker’s shot to a record £3,200, comfortably exceeding its previous best of £2,500. Ardbeg demonstrated the ongoing trend of market polarisation as a bottle of the highly desirable Lord of the Isles took an all-time second best price of £820. Languishing at the other end of the spectrum, the Kildalton Project bottle struggled to fetch its original retail price of £120… After fees and taxes the result is clearly a steep net loss. Featured in our previous auction update, “buyer beware at these heady prices” was our closing remark about Bowmore’s Mizunara cask finish when the first bottle to hit the market achieved £1,200. One short month later and we’re looking at a 25% auction-to-auction loss following a £900 sale. Still more than its original retail price but classic new-release-curve at play. Further highlighting bottles released years/decades ago containing legacy-liquid are still hugely sought after, a bottle of early 1980’s bottled Clynelish 12 year old sold for a record £560. Way back in 2009, a paltry £120 would have secured one of these. From a collector/investor perspective, Dalmore values continue to harden. As much as Dalmore has become famous (infamous) for their recent seemingly excessive pricing, their long extinct bottles and older vintages keep stepping up in value. A bottle of exceptionally rare 12-year-old from the 1970’s at 75 degrees proof achieved £640, way ahead of its £260 Low in 2010. Along with that, a wonderful old bottle of 20-year-old hit £740 – not an outright record (£785) but way ahead of the £450 paid in 2010. While we didn’t run the numbers, anecdotally, there appeared to be a continuation in the trend for declining stock from silent distilleries. There just isn’t much floating around the auction-ether anymore. Be it the above mentioned stress on supply or a renewed level of demand, following an extended period of volatility, Brora OB values seem to be settling towards the higher end of their trading range. No outright records were set but there was evident pressure on the prices paid. Mirroring the above apparent stress in supply, one of just two bottles from silent lowlander, St Magdalene, (a 1965/1993 Connoisseurs Choice) fetched an almost inevitable new record £320. The other, a bottle of the 19-year-old Rare Malts Selection, fetched £520. Not a record but towards the top end of its trading range, especially noting the borderline fill level. In 2008 you’d have picked this bottle up for £100.